Are You Looking For Amazing Entertainment For Your Event? 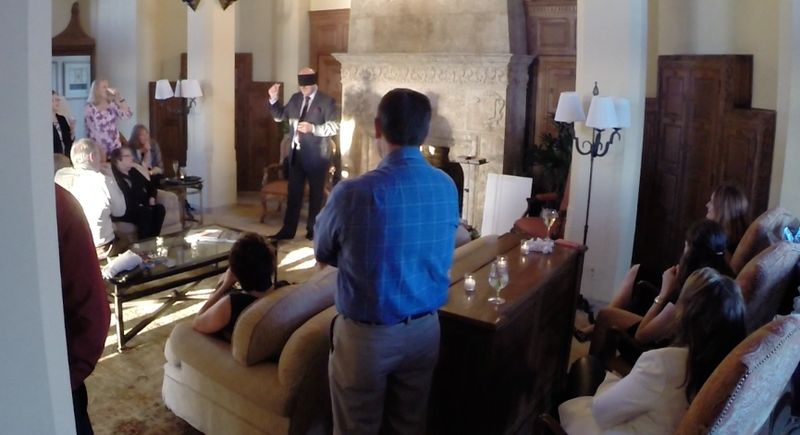 Award-winning Mentalist Brent Gregory provides world-class entertainment for companies, organizations and private clients looking to make their most important events absolutely unforgettable! Trusted By Hundreds Of Companies and Organizations. Listen To What Other satisfied Clients have To Say! "He received rave reviews from our crowd for his performance. Brent was easy to work with, very engaging, extremely professional and highly entertaining. I will absolutely be hiring him again. Thanks so much!" -Christine Lanser - Alphanet Inc. Your event is all about the audience, and you want them to have a unique and one of a kind experience! You want them to feel special and excited! One of the keys to a successful event is picking the best entertainment suited for your group. Brent Gregory specializes in unique programs of Mind Reading, Illusion and more, where the audience become the STARS of the show! People love to see their friends, colleagues and associates participating and having fun! You can be assured you will look good by choosing the correct entertainer for your event, and we promise a top quality performance that will amaze, astound and most of all throughly entertain your audience! Brent has been entertaining professionally for over 20 years, his unique entertainment is always a fit for any Corporate Event, Private Party or After Dinner Performance. For a more intimate occasion, how about having Strolling Entertainment it's perfect for a reception, hospitality suite or any small gathering. Brent is easy to work with, and you will feel comfortable knowing he will exceed your expectations many times over! Your audience will be captivated from the beginning! Amazing mind reading mixed with sophisticated visual illusion. The audience will become the stars of the show and be involved to the very end! This is unique, one a kind entertainment, not just your typical magic show. Brent reveals impossible predictions, duplicates drawings he has never seen, tells you when you're lying using subtle body language reading, bends spoons using the power of the mind and much, much more. This show is a favorite at both corporate and private events because it is smart, new, entertainment guaranteed to amaze and entertain everyone! Brent will come to your event mingling amongst your group performing amazing sleight of hand and mind reading, up close and personal. As Brent strolls around the room and meets your guests up close, they soon start to realize the strange powers this guy may process! He reads minds telling them thoughts, names of friends and relatives, bends a borrowed coin using the power of the mind and so much more. People rarely get to see this type of thing and when they get to experience it up close it leaves a lasting impact! We would love to discuss your event and help you make the perfect entertainment decision. Please Call or Email: brent@floridamentalist.com or fill out the inquiry form below and we will get in touch within 24 hours. Want Brent To Read Your Mind Now!